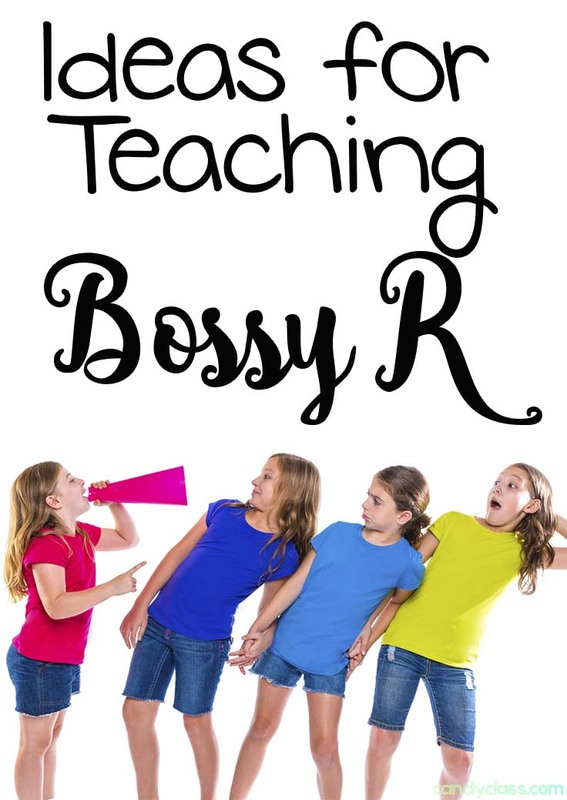 If you have read the sister post on my r-controlled vowels here, you would have heard my spill about how I like to set foundations and build up when it comes to mastering phonics skills. I have these levels I like to use. First is identification, then isolation, blending, segmenting, addition (adding sounds together), and substitution. Once students get those foundations set, then they are well prepared to spell the words, read the words, and write with the words. Now if you are saying, say what to all that, I actually have broken down each area below and put some suggested activities with each. 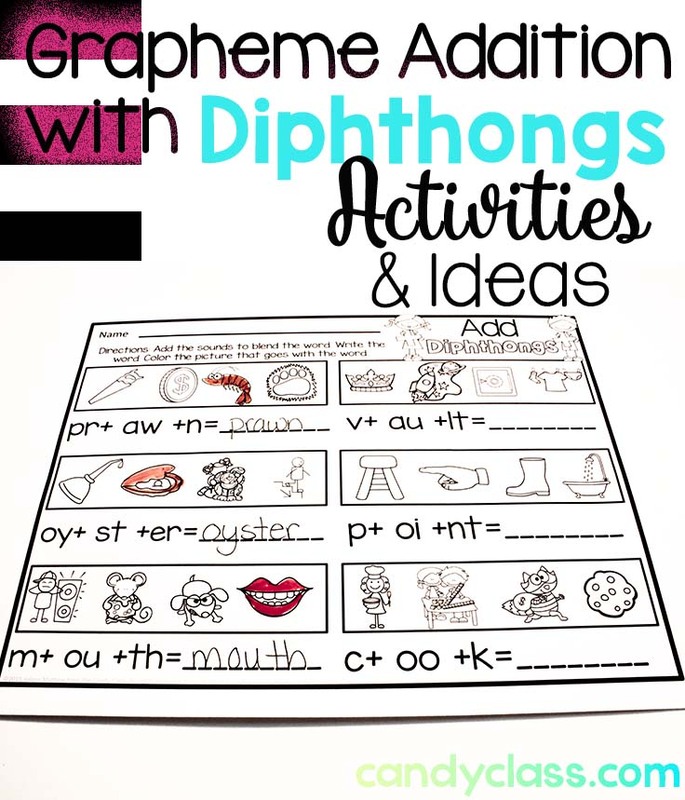 With many of the areas, some phonemic awareness activities can be used during carpet time or in small groups. 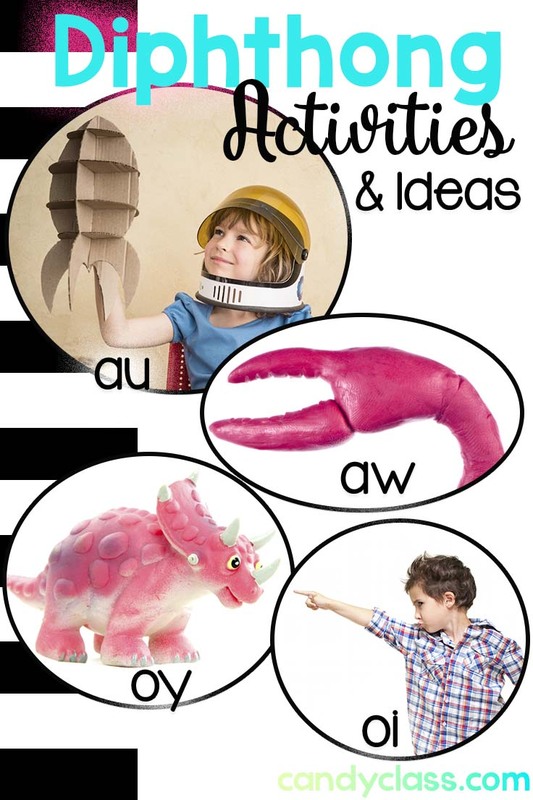 However, I have included some actual phonics ideas with each area too. 1. 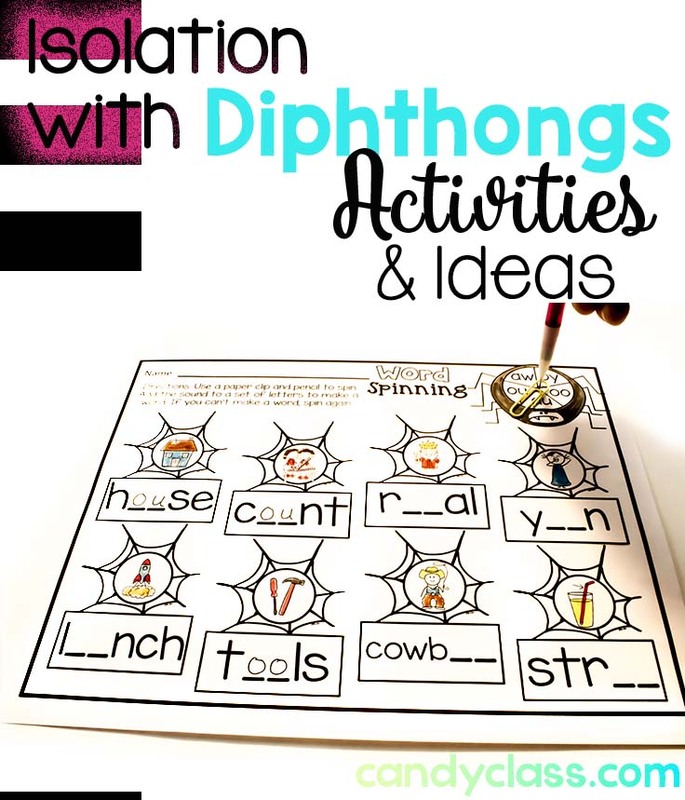 Identify Diphthongs. Here students are learning to identify words that contain those diphthongs. This typically involves distinguishing between words that contain a diphthong and those that don’t. 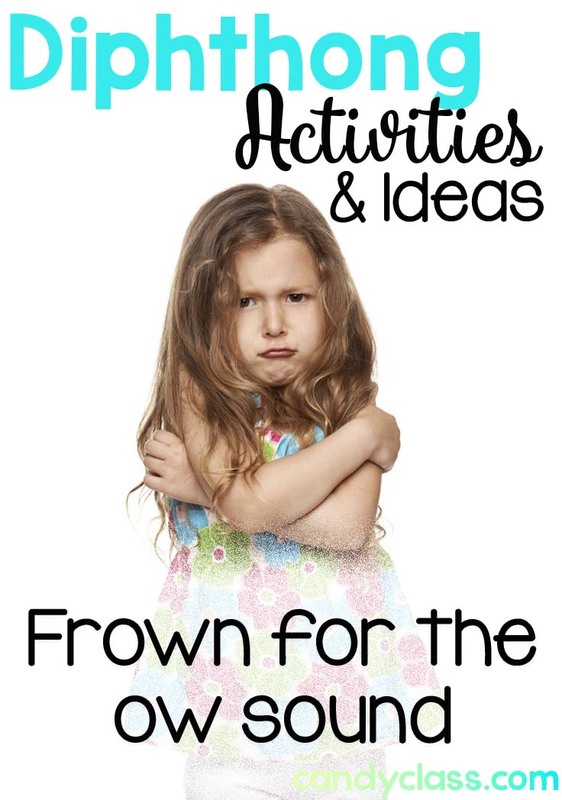 Students can put on a frown for words with the “ow” sound. Students can hold their ears like it is loud for “ou”. They can make crab claws for “aw”. They can launch when they hear “au” by putting their hands together and making a rocket go through the air. 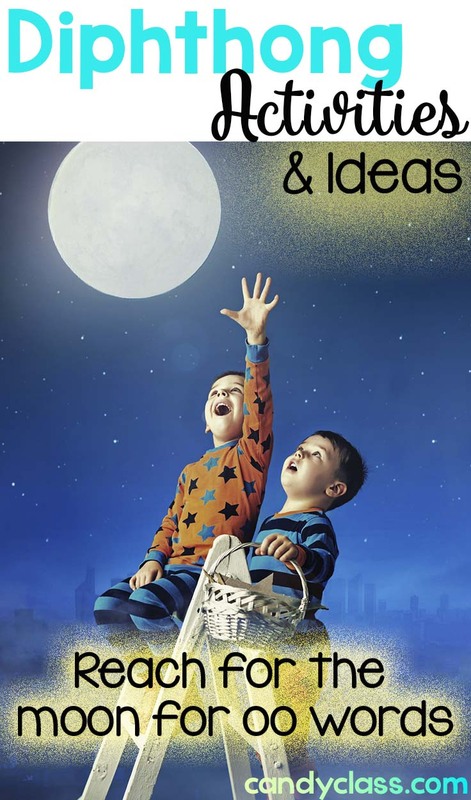 They can reach for the moon for “oo”. They can point for “oi”. They can shake their head with joy for “oy”. 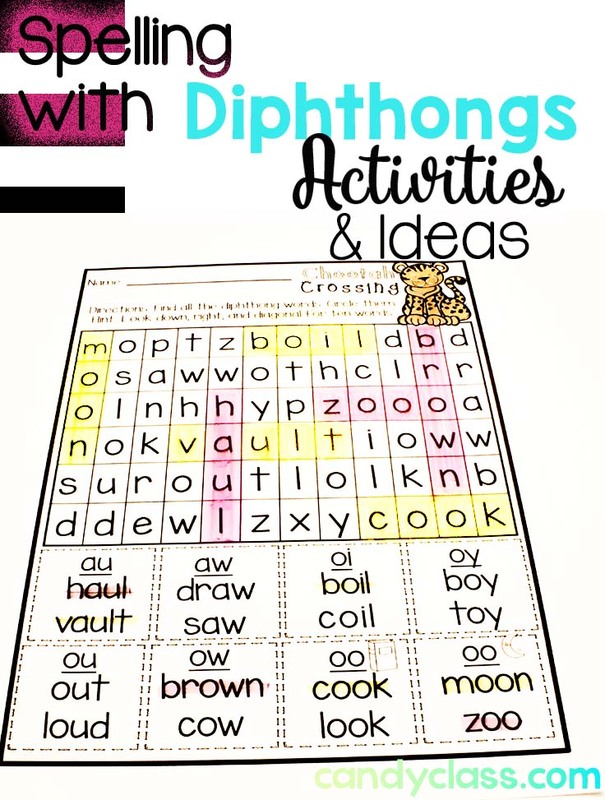 Identifying Diphthong Activity #2: Sort words for Phonics Activity. 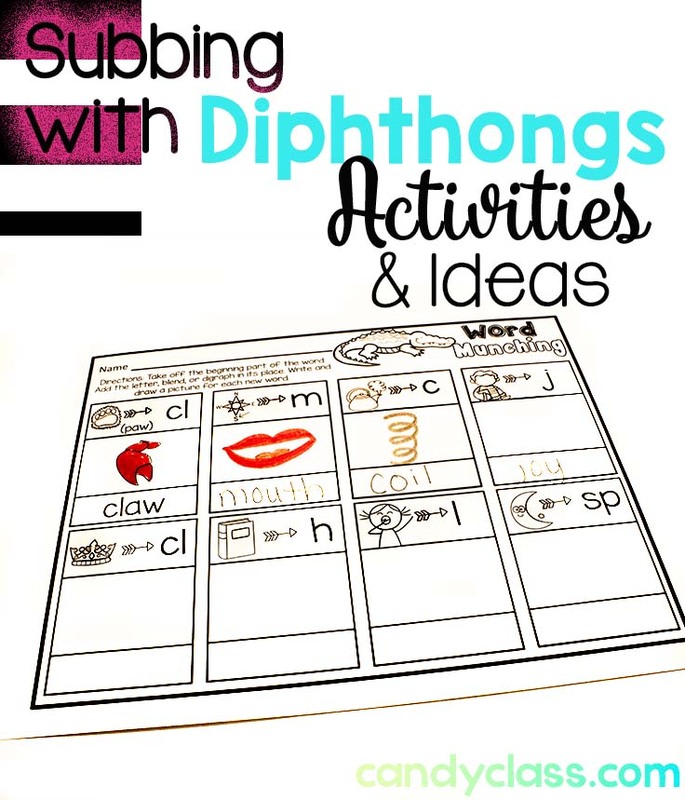 Students can sort words that have the diphthong, and those that do not. 2. 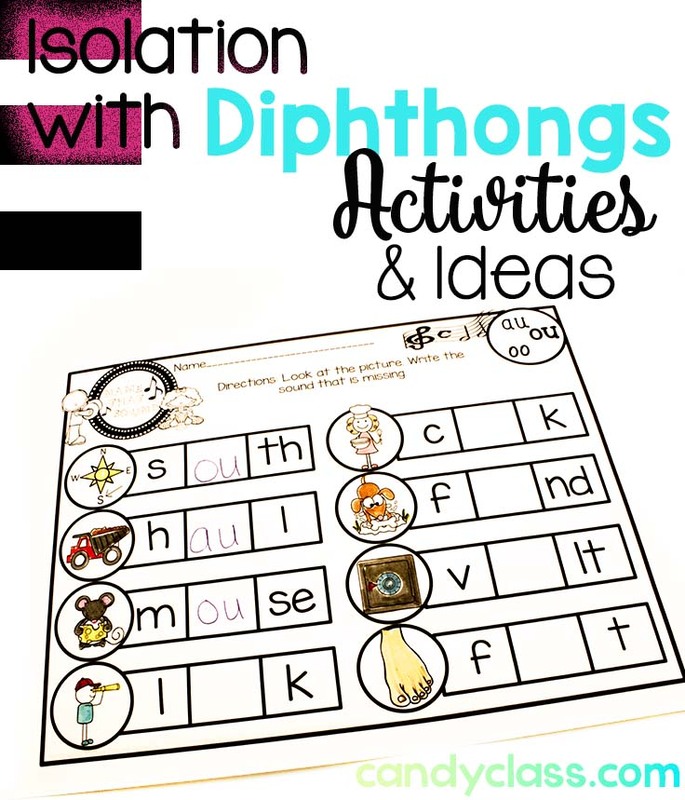 Isolate Diphthongs. Here students isolate or locate where the diphthong sound is in the word. Isolating Activity #1: Where it is. 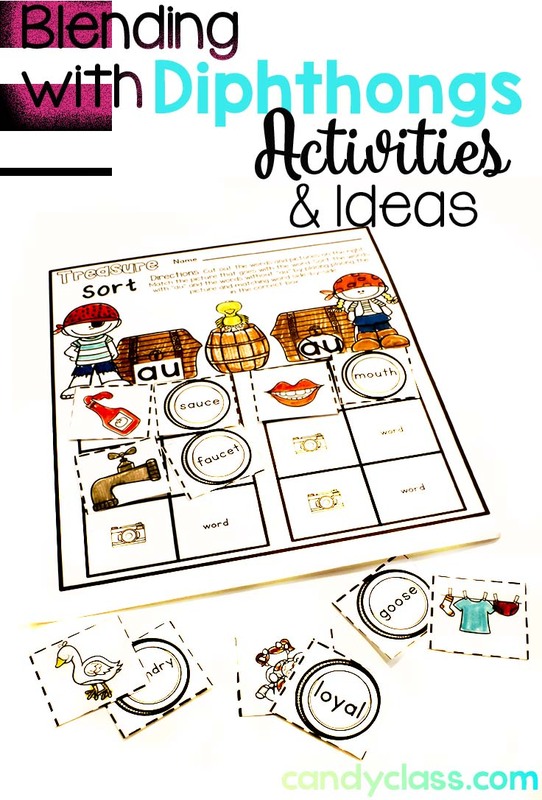 You can place out just about anything for this activity, counters, traditional box frame, and TOYS!!! 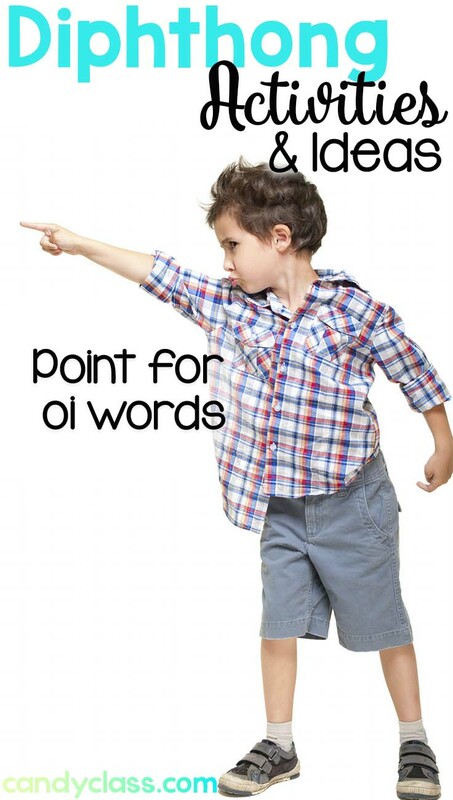 You say a word and students tap if the diphthong is in the beginning, middle, or end of the word. Isolating Activity #2: Students show the isolated sounds by writing the grapheme where it belongs. 3. Blend Diphthongs. Here students take the individual sounds and put it all together. Getting students to blend the words fluently for reading is the goal. Blending Activity #1: Say each phoneme separately and have students blend them together. 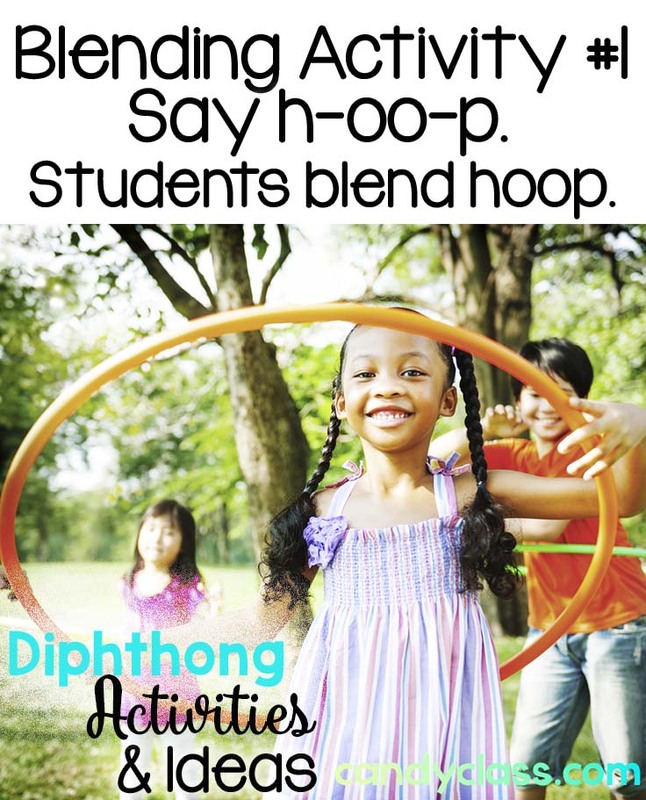 Example: Say h-oo-p, and Students say hoop. 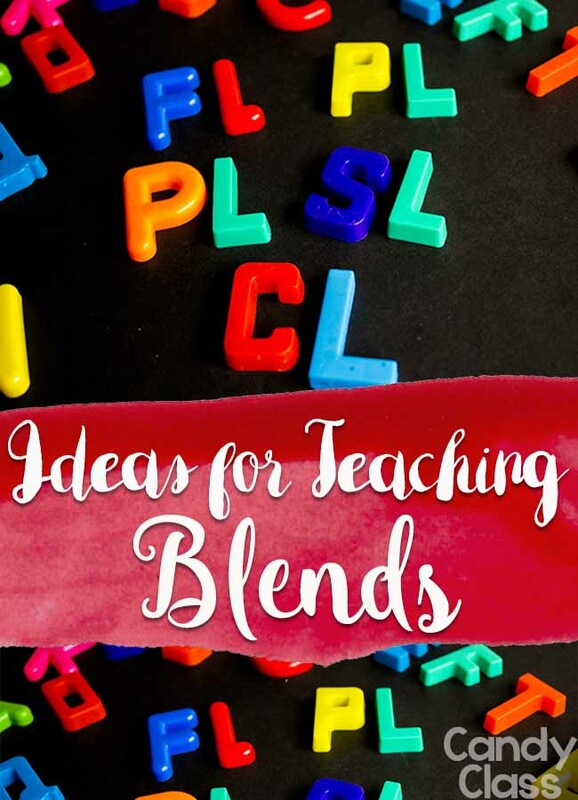 Blending Activity #2: Blend the letters. You can write some words on some index cards and let students practice blending the words in small groups or as a center activity. Blending Activity #3: Show your blending. 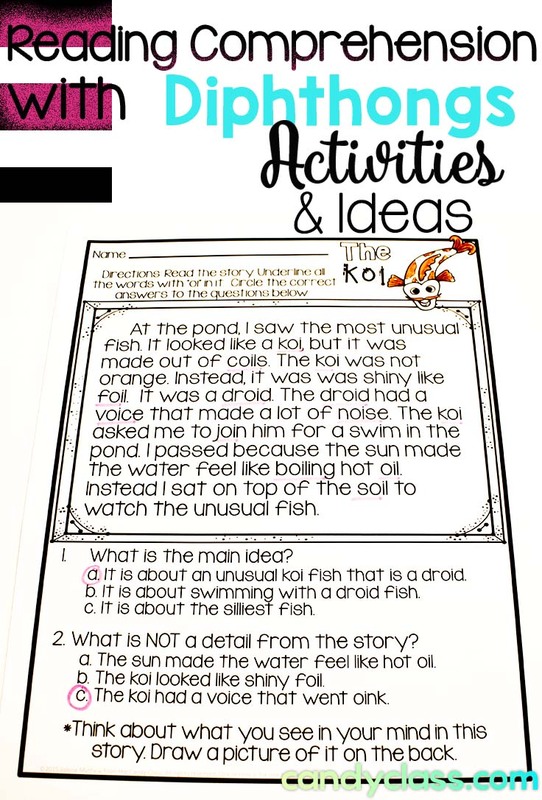 Let them show you their blending on paper with activities that require them to connect words to pictures. 4. 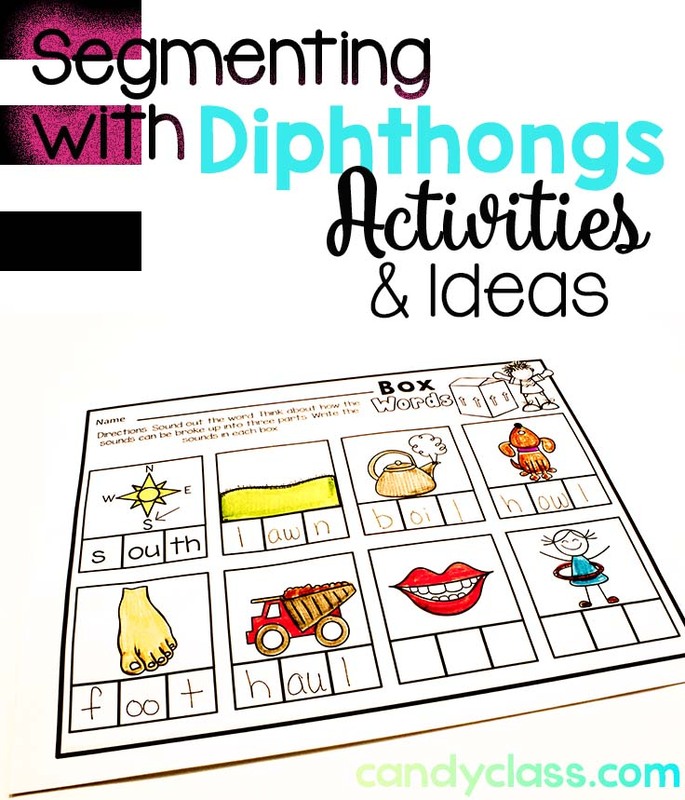 Segment Diphthongs. Here students break apart words that contain diphthongs. An example is the word boot. B-oo-t. This is different from isolating the sounds because here students are dealing with each sound in the word, instead of only isolating where the diphthong is located. 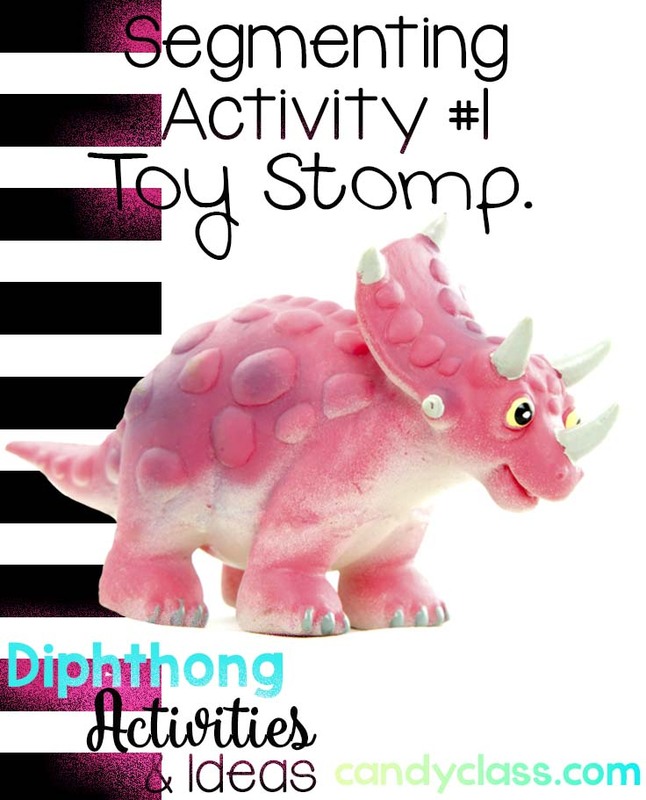 Segmenting Activity #1: Toy stomp the sounds. 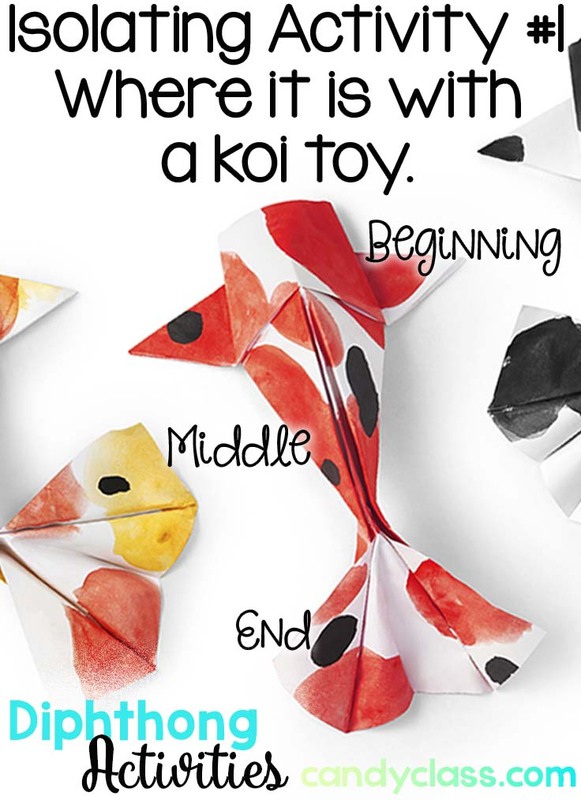 For a phonemic awareness activity, students use a toy to stomp out the phonemes in the word. Example: Stomp Book. B-oo-k.
Segmenting Activity #2: Segmenting in the box. You can actually do a simple phonemic activity with this. Say a word. Students point to each box as they say each segmented sound. Segmenting Activity #3: Segmenting in the boxes (phonics style). Students segment the sounds by writing the phonemes in the boxes. 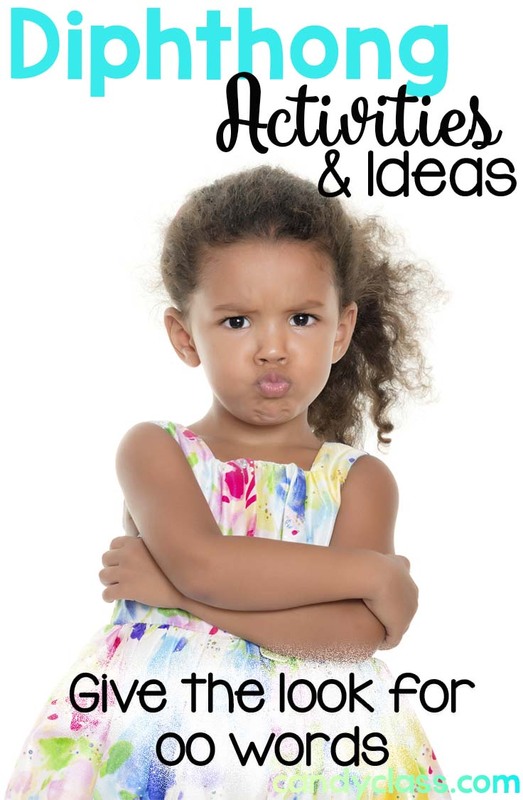 Click here to get to this resource. 5. Add the phonemes (or graphemes) together. Here additional phonemes (or graphemes) are added. 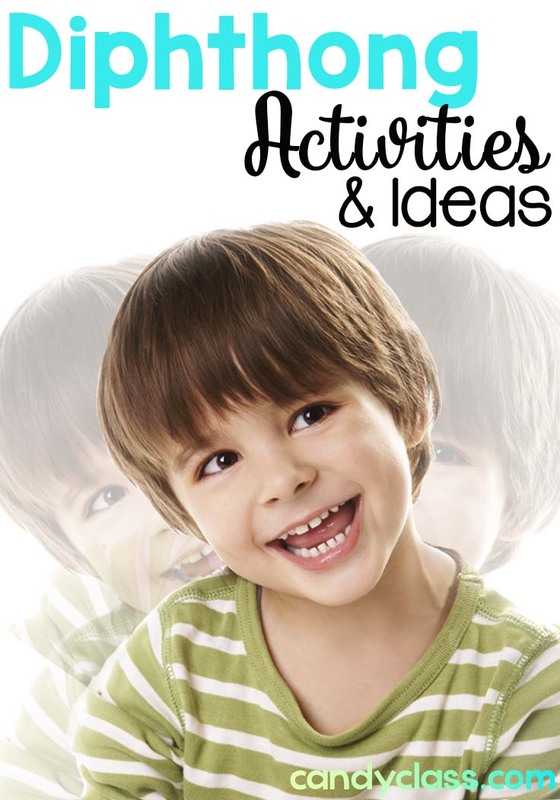 Adding Activity #2: Word adding. If you have some dice with graphemes on them, students can do some word adding to form words. 6. Sub Diphthongs. Here students play around with the words by subbing phonemes in the word for other phonemes. Subbing Activity #1: Turning books into cooks. Say some words and have students sub one of the phonemes for another phoneme. Example: If you take the word, book, and change “b” to “c,” what do you get? Cook. If I take the word, down, and change “d” to “cl,” what do I get? Clown. Subbing Activity #2: Word Claws. 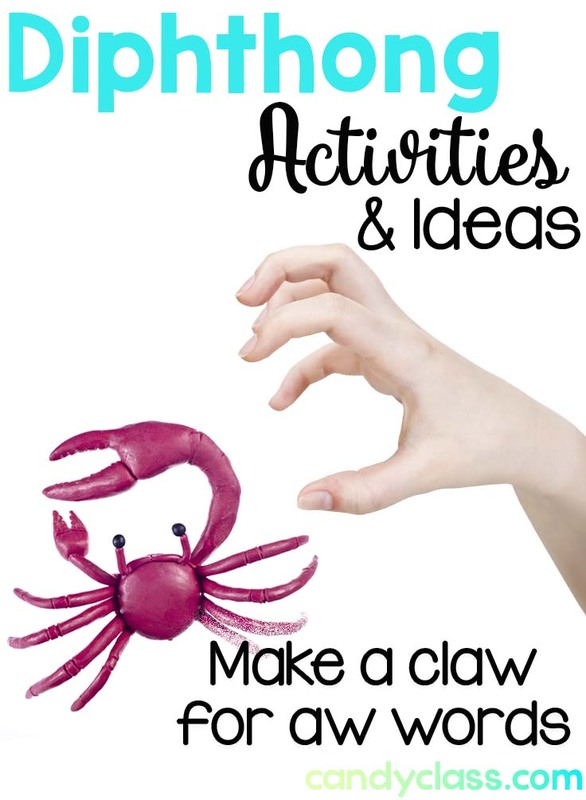 Give some word cards to students and a toy claw . 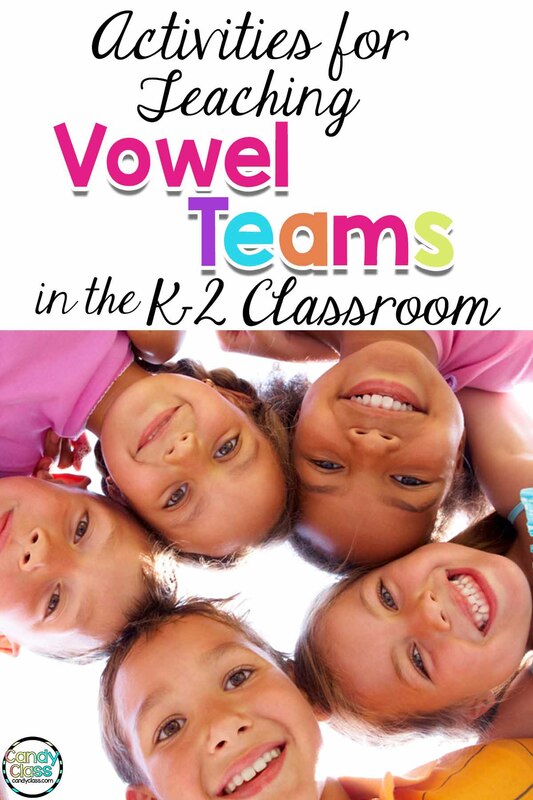 Have students pinch off the phoneme and add a different letter on top to form a new word. 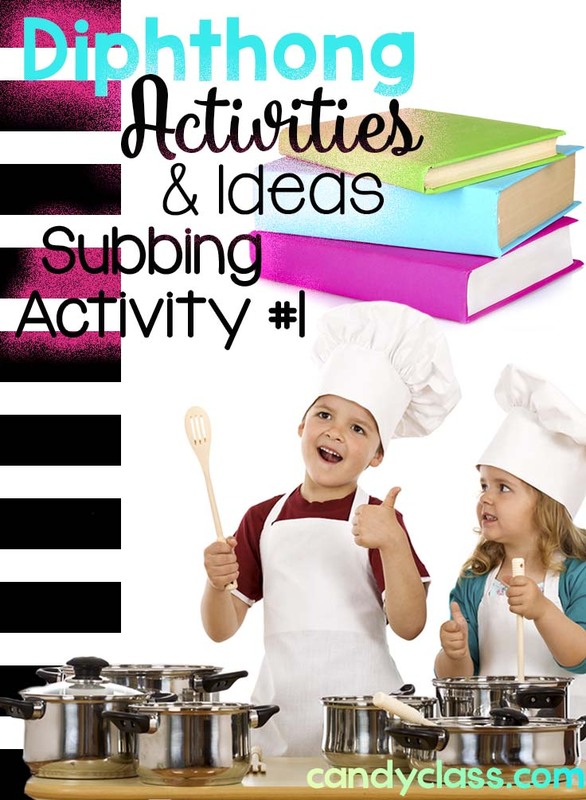 Subbing Activity #3: Students can sub the beginning grapheme for another sound and illustrate the new word. 7. Moving Up to Spelling with Diphthongs. I like to incorporate spelling too. I think it important students have time to develop some phonemic awareness and phonics skills with the words before they are expected to memorize a bunch of spelling words though. Just makes spelling much more easier! Spelling Activity #1: Build the words. 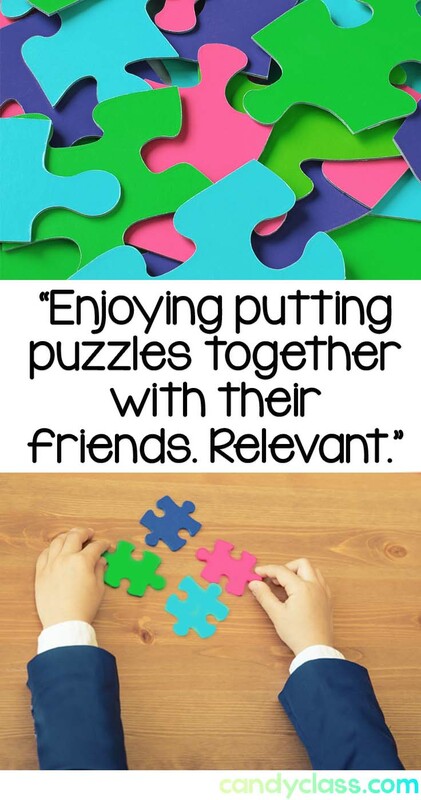 Students can use letter manipulatives to build the words. Spelling Activity #2: Crossword Puzzles. I love using crossword puzzles for spelling practice because students are practicing their spelling, and they don’t even realize it! 8. Comprehending Words with Diphthongs. It’s important that students read words with diphthongs within context. 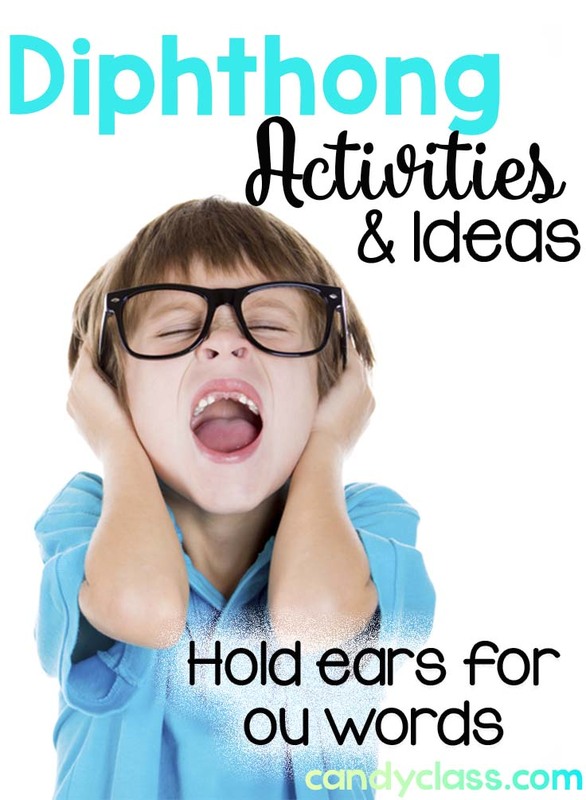 Comprehending Words Activity: Students can identify words they see with the diphthongs in books or passages they read. 9. 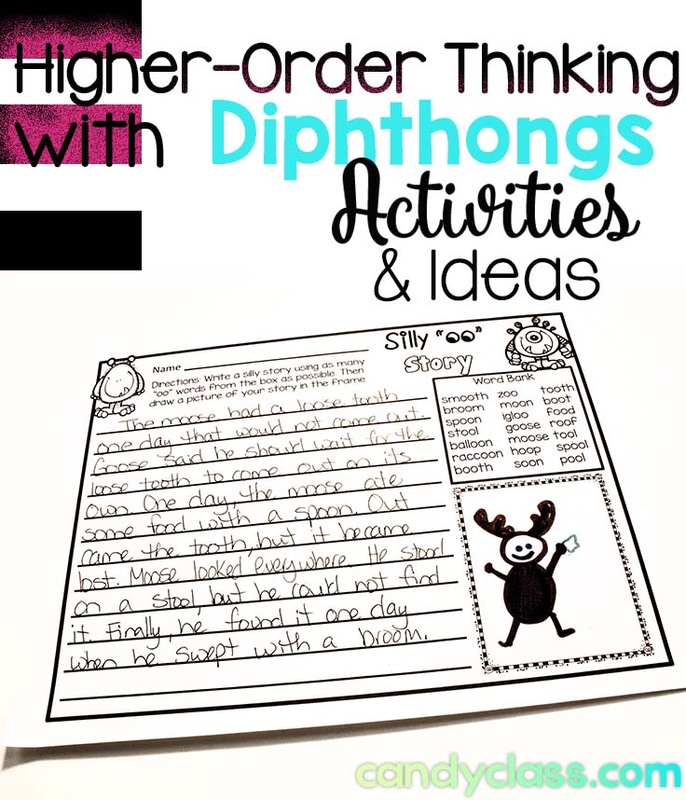 Incorporating Higher-Order Thinking with Diphthongs. I believe it is important to push the boundaries of simple identification and application to synthesis and creativity. Ok, say what? It’s important to push them up on that Bloom’s Taxonomy with higher order thinking aka use their brains! 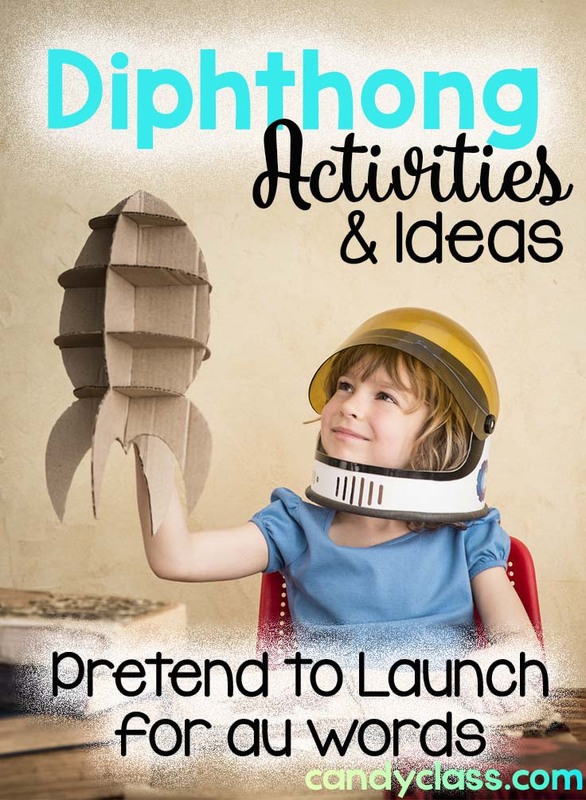 Higher-order thinking Activity: Have students use a list of diphthong words to write a fun, short story. Some organization inspiration. 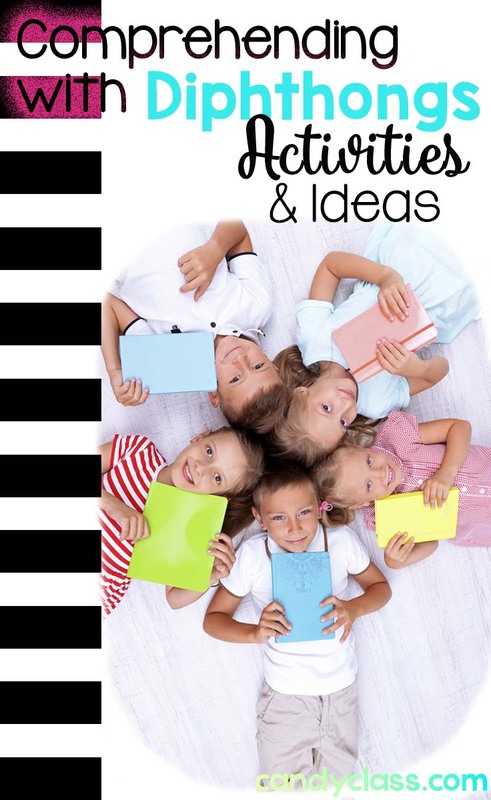 Now that I shared many activity ideas, I would like to share how I organize my no prep printables. I have these broken into different sections with the section dividers I created and include in the resource. It is so nice to have them all pulled together like this, and the levels build up from identifying to writing. Click here to get the no prep diphthong printable pack. 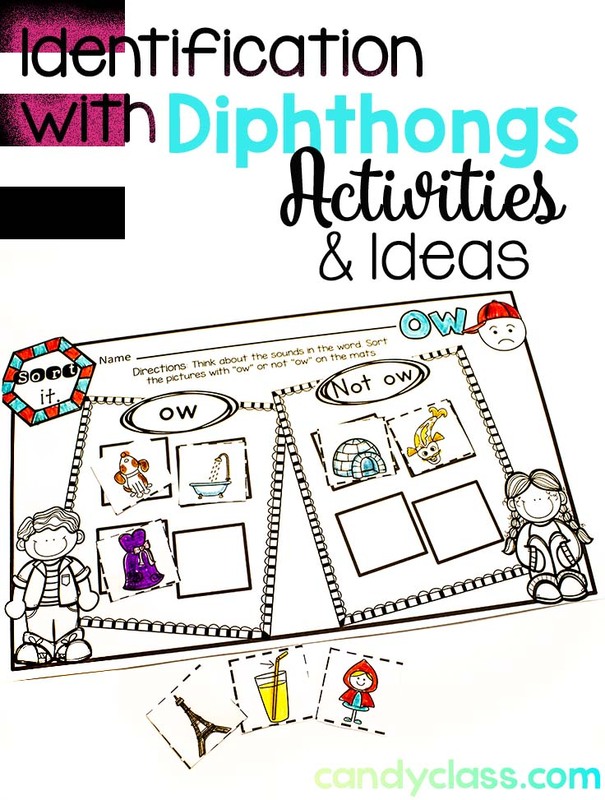 I hope I inspired you with many ideas for teaching those diphthongs! Make sure to get on my email list for some more inspiring ideas right to your box! I’m not into spamming, I promise!